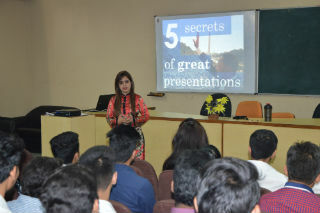 Guest Lecture on “ 5 Secrets of Great Presentation” for BCA on 4th March 2016. 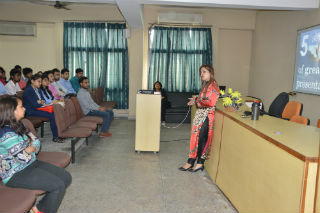 The session was conducted by Ms Parul Raj(Asst Professor). Highly Qualified resource person having B.com from Delhi University, Bachelor's in Information Technology (BIT) from Manipal University, MBA in Marketing from Rajasthan University and MA in English from IGNOU. An academic experience of 8 years ! Worked with Sharda University as a trainer and Placement Head for Management students. 5) Rehearse "till you drop"